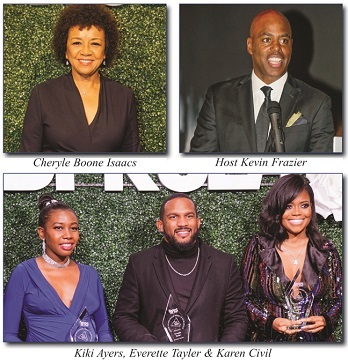 The Black Public Relations Society Los Angeles hosted its 20th anniversary awards ceremony and aptly chose to honor 20 trailblazers in the fields of media, film, corporate communications and public relations at the California African American Museum on Friday. The celebration was emceed by the Emmy Award-winning Kevin Frazier and was kicked off with a welcome by Neil Foote, president of the National Black Public Relations Society. The evening included special remarks by best-selling author and screenwriter Antwone Fisher. One of the night’s most prestigious awards of the evening, the Pat Tobin award, is named after and recognizes one of the first Black women to own a public relations firm, Patricia L. Tobin. Tobin is a co-founder of the National Black Public Relations Society (NBPRS) and is single-handedly responsible for the careers of countless corporate executives in the media, film and entertainment industries. Bennett currently holds the title of global head of social and influencer marketing for YouTube Originals and YouTube TV. Cheryl Boone Isaacs, president of the Academy of Motion Picture Arts and Sciences since 2013 and is serving a second term was another of the Pat Tobin honorees. She is the first African American to hold this title with the Academy. The other Pat Tobin honorees of 2018 were Ellene V. Miles, senior vice president of intersectional marketing at Sony Pictures Entertainment; Lindsay Wagner, vice president at Ketchum; Michael Lewellen, vice president of corporate communications for APR; Tosha Whitten-Griggs, TV One’s senior vice president of public relations; and Shawn Smith, director of public relations and brand partnerships with MGA Entertainment. All of the recipients mirrored the sentiments that there is a need for inclusion particularly of Blacks in their respective positions and fields, which is consistent with the vision of the founding members of the BPRSLA, which is an affiliate chapter of the NBPRS. The NBPRS was co-founded by Tobin in 1998 with a mission to serve as “an advocate for Black professionals in public relations, media relations, corporate communications, investor relations, government affairs, community relations, and related fields” by providing peer-to-peer supports, mentorship, networking, job opportunities, and career advancement strategies. Tobin’s firm, Tobin & Associates, is one of the most prominent minority, female-owned public relations firms in the nation. In 2008, she lost her battle to cancer at the age of 65. Her impact has left a lasting impression on the world of public relations, especially in the greater Los Angeles area. 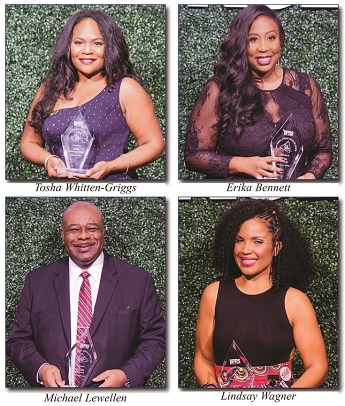 Many of the honorees shared their personal connection to this public relations juggernaut, including longtime news anchor and reporter Beverly White. “Pat was the glue,” recalled White, who was honored with the Power Press award. When White became a local news reporter in Los Angeles 26 years ago, she shared that Tobin sent her a Varnette Honeywood greeting card with a personal written message. Fellow recipients of the Power Press award were award-winning journalist Tre’Vell Anderson, E! News correspondent Nina Parker, and managing editor of the L.A. Sentinel and L.A. Watts Times Brandon Brooks. Brooks emphasized the symbiotic relationship between Black press and Black publicists. The evening honored a wide array of talented African Americans, many of whom exhibited the passion that has no doubt fueled their success. Power of Influence honoree Karen Civil, gave an emotionally charged speech where she thanked her late brother for providing her the strength and motivation to continue building her brand. After spending several years as the digital and marketing director for Beats by Dre, Civil has spent her subsequent years as a multifaceted entrepreneur who operates a media company and provides digital strategy for musical artists like Nicki Minaj, YG, Nipsey Hussle, and a host of others. 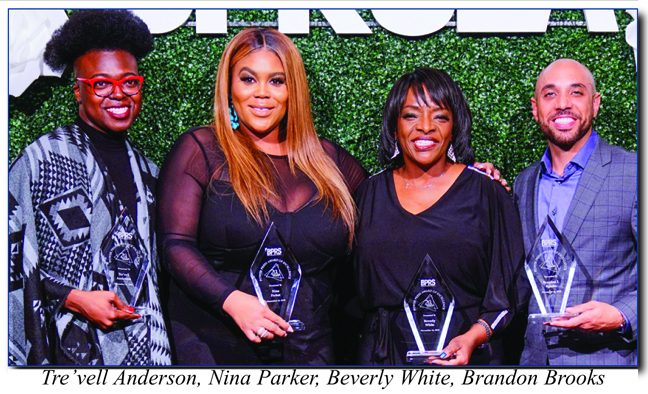 Honored alongside Civil with Power of Influence awards were Ke’Andrea “Kiki” Ayers, C.E.O. of Ayers Publicity, and entrepreneur and marketing executive, Everette Taylor. The PR Power Pro award recipients included Kenya Fiend-Daniel, journalist turned communications executive for Trader Joe’s; Kristin Robinson, vice president of brand marketing and communications at Shondaland; and Leshelle V. Sargent, directory or publicity for Warner Bros. Worldwide Television. 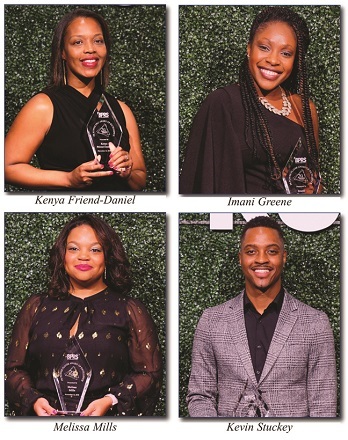 PR Power Player honorees included senior corporate communications manager for LinkedIn Talent Solutions, Imani Greene; public relations manager at Cartoon Network, Melissa Mills; and manager of the original film publicity team at Netflix, Kevin Stuckey. For more information on the Black Public Relations Society L.A., please visit bprsla.org and follow them on social media @BPRSLA.